In every celebration of the Eucharist, there should always be a sufficient number of Extraordinary Ministers for the distribution of Communion, but sometimes we have an insufficient number of ministers available. 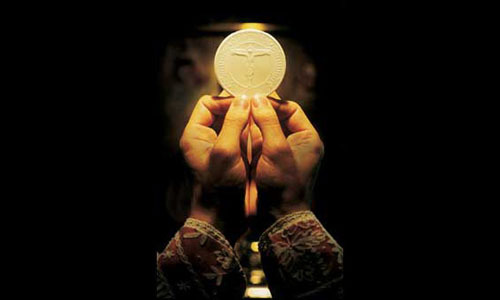 We appeal to you to prayerfully consider becoming an Extraordinary Minister of Holy Communion. Your willingness to serve as a Minister reflects on your response to your Baptismal call to serve the people of God. It also shows a commitment to Christ as you recognize Him in those to whom you offer the Eucharist. A Training Session will be offered in the church on Sunday, August 30, at 2:30 pm. Please contact the parish office to make an appointment with Fr. Mike if you wish to be part of this ministry. We pray that the Holy Spirit will guide you to answer the call to service.